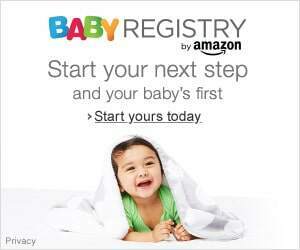 We have lists the best baby gates in Amazon but more often than not, they are pressure mounted that would require two walls close to each other in order to set it up. But there are times when you need a gate without having to stick it on the wall. There is a wide variety of baby gates out there and if you don't need a wall to keep your baby kept at bay, then you only need to get yourself a freestanding baby gate. It presents more benefits than typical pressure mounted baby gates in the market. The best baby gate freestanding and position it anywhere you wish without the added fuss of attaching it to the wall. It is simple to use and also to keep away. It also helps keep your pets away from certain areas you restrict them from going to. It is sturdy enough for it not to easily tip over. It also comes with easy open gates where you don't have to jump over the gate just to pass through. We have made another list of five for you to think over. Instead of relying on the product description, we can guarantee you a series of best baby gate reviews that are surely tried and tested. We went through over 20 freestanding baby gates Amazon can offer and we came down to our list of favorites. We checked it's sturdiness, capability to keep your children and your pet secured and much more. We really love this baby safety gate mostly because it really fulfills the main function of a freestanding baby gate - protects your baby. This baby gate is made of ﻿rubber wood. And we know that rubber wood is very sturdy, rigid and long-lasting. We also love the fact that its size is perfect for most openings as well, it comes in two different sizes: medium and large. We haven't tried the medium size baby free stand gate but is stands at a height of 28 inches and measures 24 inches wide. It can stretch from 61.8 to 90.2 inches long. That's wide enough for a medium sized gate if you ask us. It is also weighty enough to hold up against your smaller pets because it weighs about 24.2 pounds. We have tried and definitely loved the large Ritchell Wood Freestanding Pet Gate. Don't mind the title because it really functions just as well as a freestanding gate for baby. The large baby gate weighs about 32.4 pounds. It also stretches from 61.8 to 90.2 inches like the medium size gate. It is 36.2 inches high and 27 inches wide. The taller and wider scope can stand against larger pet breeds. In fact, it can also stand up against your hyperactive little tot. If you have a little climber or a little one who loves jumping over things, then this would be the best fit for you. It's tall enough for your toddler to not be able to go over it. It also comes with a door that swings both ways and opens with just one hand. It also works great with small dogs to a large one weighing up to 17 pounds. However, smaller dogs can still squeeze their way out between the railings, so you should be very careful in placing the railing over stairs. It doesn't work well as a baby gate on top of stairs. It does, however, work well as a baby gate at the bottom of stairs, along the hall, in wide openings and doors and even as a gate to keep your little one away from the furnace, or even the refrigerator. We find it very helpful in keeping your little one's hands off the fridge once they get to figure out how easy it is to open the refrigerator. Your little one will never get their hands off the big box of treats! And for the fact that it is sturdy and very easy to use, this serves as the Top best freestanding gate for baby. We're already so familiar with Summer Infant as an amazing brand for baby products. We have had the become part of our top lists for multiple baby items and a freestanding gate for baby is definitely one of them. As one very familiar brand, we can definitely attest to the quality of this product. It is lighter compared to our top pick but it does secure your little one to one area for sure. The fit gate goes well with wide spaces. One reason why we love this is because it's a versatile baby gate. It works with wide open spaces, doorways, and hallways. It is a great freestanding baby gate and also works as a play fence for your little one. The play fence has a stopper and a bottom support that allows it to stand on its own. It can also be mounted on the wall through hardware installment. You can also connect both ends and adjust this free standing baby gate as a stand on its own playpen. You can simply leave your little one totally enclosed in a certain area to play. You can also set your toddler to stay in one room by installing one panel on your doorways. If you happen to have a wide space for you to keep your pets away or your baby comfortably running around, you can extend this freestanding gate up to 6 panels. It is very versatile since it works in three ways. It will take you about less than a minute to set up this freestanding gate for baby or your pet and you can simply go on in doing your business. No matter what size, space or area you need to keep your baby safe and secure, the Summer Infant Custom Fit Gate can provide enough security for your baby and your pet no matter where they are and no matter what design fits your home. What we, as parents of ParentsNeed HQ, love about this baby safety gate is because of the fact that it can accommodate your 6-month-old baby up to when he/ she grows up to two years old. Although this is highly versatile, the fact that it is lightweight makes it easy to tip over if heavyweight rests on it like your large dog. However, it does have rubber grips at the bottom to secure the gate from moving that is, in summary, the reason why this is our second best pick for the best freestanding gate for baby and pet. As its label suggests, this baby safety gate is highly recommended because of its multi-function. This multi-function works in any covering purpose you may need for your baby. Whether you want to keep your little one stay in a play area or within a room or just in a tightly secured area inside or outside the house, you can definitely keep your baby safe with the North States Superyard 3 in 1 Baby Gate. Not every house is the same and smaller houses can simply settle for pressure mounted baby gate. Some homes have bigger spaces and wider areas for your baby to run all over the place. When you have the need to keep your baby in one place where you can easily monitor what he/ she does, then you only need to get this freestand baby gate. This 3 in 1 superyard is really super, in fact, we love it as a freestanding baby gate fence or a playpen. It is wide enough to keep your child and other playmates to stay within an enclosed area having fun with their toys. We also love using it as a great surround gate for the furnace. Children can be very very curious about practically anything and one of the things we want our children to keep away from is the hearth and the kitchen, you can toss the garage in there too. There are just too many dangerous tools that can harm your little one at any time. It surprises you when your baby suddenly ends up with a knife or a scissor on hand in just one second you look away. We really do love this baby gate because it is composed of different panels that you can distort or contort to fit your space. It doesn't need to stay straightly wide open. You can bend it or curve it in any direction because all panels swings in both directions. You can definitely configure the gate to fit your space be removing panels or adding more panels. It also comes with a walk-through door so that's a definitely a plus factor to love this item even more. That's why this is our third favorite freestanding baby gate. Versatility is the name of the game when it comes to Homey pet's baby and pet gate. Their baby gate is also highly adjustable and easy to move around. One of the best things we love about this item is that this keeps your baby safe inside the house and you can go on with your things without a worry. It covers a wide space of playing where your little one is safe and sound. Panels are easy to remove and easy to attach depending on how much space you want to cover. If removing one panel is too short but keeping the panel is still too long, it's not a problem. You can just bend and distort the gate to fit your home. If you need a gate for an extremely wide space, you can simply settle in for this freestanding gate for baby as a pressure mounted gate or a hardware mounted gate as well. It is also very convenient for you and your baby to have this baby gate because your baby will be safe from anything beyond the gate and the gate itself. The gate is also toxic-free. It doesn't contain lead in it either. So if your baby loves to chew on stuff, you are happy to learn that this chew proof baby safety gate can handle your little one's itchy chompers. You are sure that your clever little tot cannot pass through this baby gate because it has a double locking system that won't allow your child to work on that lock. The safety locking feature that can only be opened from the outside. It may keep your baby safe inside but it can also be difficult to open with only one hand in opening this gate. One hand opening will also be difficult since the second lock is found at the bottom of the gate's door. Other than that, one factor we love about this is that it folds thinly making it really easy to store. It is easy to set-up and easy to keep it out of sight as well. And for those reasons, we have chosen this as our fourth baby gate top pick. This baby gate has multiple panels that can keep your baby secure in any area you want to designate. You'll love this safety gate for baby because this safety gate features an easy open childproof lock. You can now open it with only one hand without the hassle of bending down for a floor lock or putting the things you're holding down just to undo a lock. You will also love this gate as a protective cover to prevent your little ones from getting close to dangerous areas around your house. You'll feel very reassured because this stand-on-its-own baby gate can also be converted into a hardware mounted baby gate for any doorway, hallway and any space around your house. Actually, you can even use it as a gate outdoors. This saves you the effort of having to tweak your porch for your little children. You can simply lock-in this beautiful gate outdoors. This gate works really well with any type of internal and external home décor. You are sure that your interior design won't be messed up with a baby gate eyesore. This is one Amazon item that you will really love and enjoy, it is strong and sturdy and it can even stand up against some larger pet dogs. The metal is made of a heavy duty tubular steel. All of the joints can be rotated to make easy adjustments. You can even remove and attach panels and even move the door in any position you want or find convenient for your home. Once you take it down, it is also very easy to use and install and very easy to store as well. It can be mounted on a slightly uneven ground for a more customized fit. Unfortunately, if it stands on its own, it is not heavy or strong enough to stand against you heavier dogs. It may be able to hold off you medium sized pets but not long enough to keep them stay in for a longer period of time. That's why this completes our top 5 list for the best baby gates. Choosing the right freestanding gate for baby takes a lot of consideration, especially when you are going to use it for your little one. Safety baby gates are meant to keep your children from harm and the possibility of them endangering themselves with everyday objects. So, no matter which baby gate you choose for your home, we will definitely be sure that you won't regret it.